“Skin tags, while not harmful, can be problematic if they continually catch on clothing or are irritated by friction from clothing. Removing them by yourself is not recommended due to the risk of infection and bleeding. 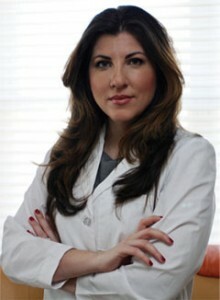 If you have a skin tag that is bothering you, come in and see me in the office to discuss removal”. 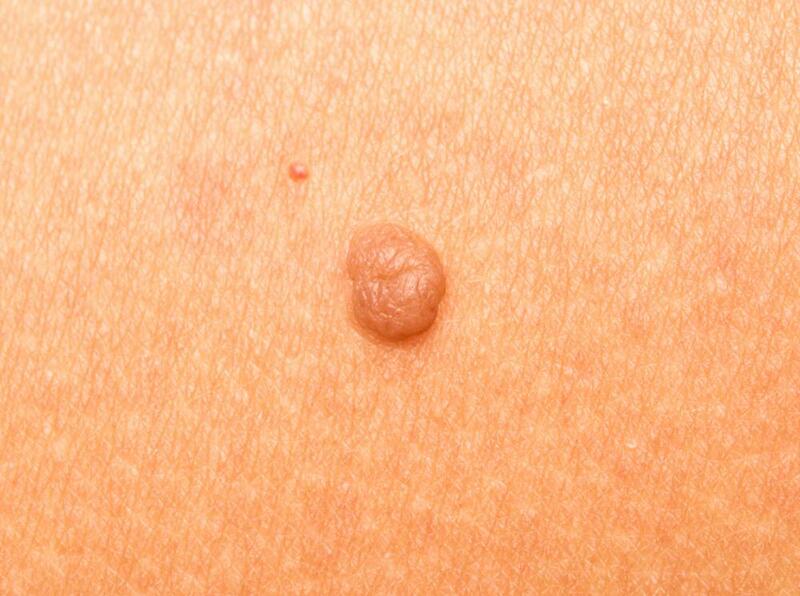 Discovering a tiny skin tag — or several skin tags — on the neck or under the arm can be alarming. However, while unsightly or annoying, skin tags are harmless. Although skin tags are technically considered to be a type of tumor, they are not cancerous. And unlike many other skin conditions, skin tags aren’t contagious. You can’t “catch” a skin tag from someone else or spread it from one part of your body to another. 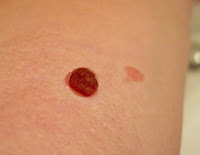 Skin tags can develop in people at any age. While skin tags can appear just about anywhere, they’re especially common in parts of the body that rub against clothing or skin. Skin tags may arise on the neck, chest, back, armpits, groin, and eyelids. They tend to appear in skin creases. Unless they become irritated, skin tags are generally not a serious health concern. However, friction from clothing or skin can irritate a skin tag. If a skin tag is inconveniently located, it may get pinched or snagged by jewelry or clothing. Skin tags are usually oval flaps of tissue that hang from the skin on a tiny stalk. They may appear alone or in a group. Typically, they’re barely the size of a grain of rice, but they can be smaller or larger. Rarely, they can grow to become as big as a grape. 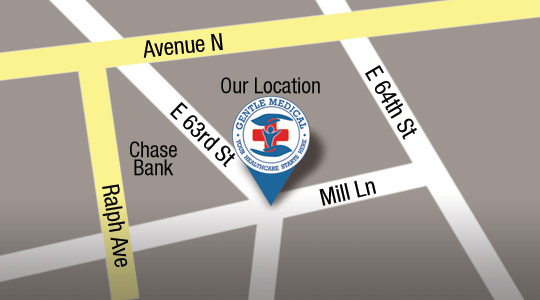 If you find something that appears to be a new skin tag, it is a good idea to make an appointment to come see us. There are other more serious skin conditions that can masquerade as skin tags, and an examination in my office is really the only way to rule those out. If a skin tag is multi-colored, or if it bleeds or grows quickly, it is important to see me as soon as possible. In rare cases, a skin tag may require a biopsy. Although there is usually no medical indication to remove skin tags, they can often cause discomfort and embarrassment. There is no reason to hesitate to have them taken off in my office. Almost half of all people have a skin tag at some point in their lives. Some people may develop just a single skin tag, while others may develop up to hundreds. Researchers have noticed that people with diabetes and insulin resistance are more likely to have multiple skin tags. Pregnant women are also more prone to them, possibly because of hormonal changes. Studies have found that obesity is a risk factor, and the heavier people are, the more skin tags they are likely to have. That may be because skin tags tend to pop up in folds of skin that rub against each other. How can I get rid of a skin tag? Sometimes they go away on their own. But more often a skin tag is likely to grow slowly over time. If a skin tag is bothering you, make an appointment to let us take a look at it. In nearly all cases we can easily remove it using a special machine in the office known as a cauterizer. A cauterizer makes the procedure quick and relatively painless, and it minimizes the chance of bleeding. Your insurance should cover the cost to remove skin tags, especially when they are causing medical issues such as bleeding due to rubbing against clothing or jewelry. Can I just cut this thing off myself? Skin tags contain blood vessels so they will bleed if cut. There is also a risk of infection if removal is attempted under non-sterile conditions. Wart remover is designed for use on hard skin or warts — not on skin tags. The chemicals in wart removal creams and ointments may not work and are likely to irritate the skin. Irritation increases vulnerability to infection and other complications. Do-it-yourself skin tag removal can create other risks. To avoid infection, bleeding, scarring, and unnecessary pain, it is best to have skin tags removed in the safety of our doctor’s office.